In music theory, the imperfect fifth (wolf fifth, Procrustean fifth, diminished fourth) is a dissonant music interval that spans seven semitones. It is a musical anomaly. This term appealed to me for several very particular reasons, years ago while writing motions for a lawyer and legal-jargoning my way into a hole. The word “imperfect.” Some people may take it as a negative, but I am enthralled by it because of its ability to highlight that something is not perfect. And – while we bring you music we believe in – all music is art, and there is not a single piece of perfect art in the world. There will always be critics, people who don’t like the art that you put into the world. But we’re ready to bring you the art, no holds barred. It spans seven semitones. My lucky number is seven. I was also born at 5:07pm, twelve minutes after my twin sister. 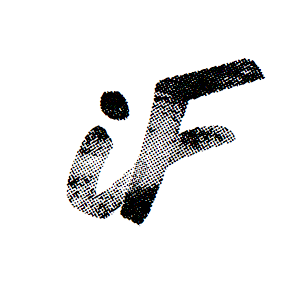 I love the abbreviation, “iF,” because I’m sick of wondering “What if?” I have been afraid to start this journey for years, but I’m done letting fear hold me back. iF might not be perfect, but I’ll never realize my own dreams if I don’t try! A) I’m a lone wolf in a way, setting out on my own to accomplish something I’ve been dreaming of for years. So, what do you say? Ready to join our wolf pack? Submissions and collaboration ideas can be submitted here. All contributor inquires, please follow instructions found here.